Unique Drives Ltd is a family run driveway and garden landscaping business servicing the West Midlands area with over 50 years experience in the trade. Areas we cover include: Bromsgrove, Redditch, Droitwich, Kidderminster, Barnt Green, Romsley and Halesowen. Steven Gates, the owner and director overseas all installations from start to finish. We don’t use salesmen or sub contractors. 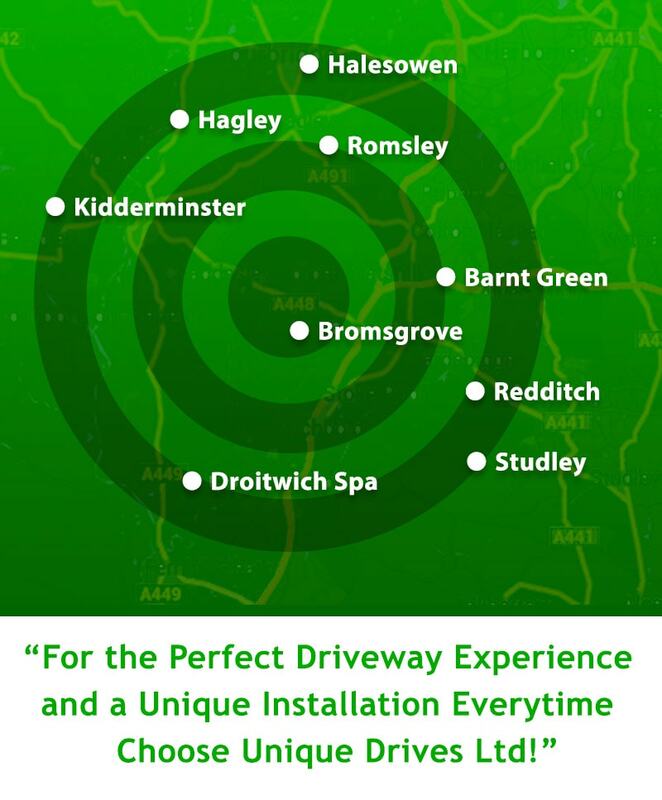 All dealings from the initial driveway quotation through to the completed installation are handled by Steven. We have a highly trained team of skilled and experienced driveway installers. You don’t pay a penny until we’ve completed the job! We’re passionate about every job we do and take great pride in our work. If you read our customer testimonials and view the galleries, you’ll understand why we get almost all our work through personal recommendation and on reputation.